The estimated waste in U.S. healthcare spending now sits at a staggering $1 trillion. Hospital leaders are beginning to recognize they have no choice but to focus on cutting costs. Large-scale efforts are now underway that may eventually help turn the tide, including value-based payment initiatives and population health management. In the meantime, research suggests that there is an easier way to achieve more immediate productivity and cost-cutting benefits: improved clinical communication. U.S. hospitals waste more than $12 billion annually as a result of inefficient clinical communication—with the typical 500-bed hospital alone losing more than $4 million. Communication errors were also directly responsible for $1.7 billion in malpractice costs over a five-year period, as well as nearly 2,000 patient deaths. Streamlined clinical communication can dramatically change those statistics. The following are four ways you can preserve profitability in your health system with improved communication. Millions of U.S. patients are referred for specialized services each year, but as many as 45 percent will never make it to the referred-to clinic or hospital. Prioritize Patient Education – Don’t let a patient leave the hospital or physician’s office without understanding why he’s being referred to a specialist. This is not a place where you want your providers to save time. Adjust discharge procedures to prompt providers to confirm that nothing has been lost in translation for the patient. Make the Connection – It’s clearly not enough to hand a patient a phone number and send him on his way. Schedule the appointment for him, or at the very least, contact the specialist and ensure she’s expecting your patient’s call. Provide the patient’s phone number so the specialist’s office staff can reach out if they haven’t heard from the patient within a day or two. Track and Follow Up – Research studies revealed another alarming trend in this area: After a referral was made, physicians were often unclear about who would be responsible for which aspects of the patient’s continuing care. A well-defined process for tracking and following up on referrals will prevent patients from getting lost in the system. Provide the Right Tools – Today’s most advanced clinical communication technology makes it exceedingly simple for physicians to connect with each other directly over a secure texting platform. Extensive built-in directories enable clinicians to find colleagues by name or by role, and sending a quick text message to a specialist in the presence of the patient provides pertinent information for the consult. Discharge Delays – We advise clients to conduct a review of how often a patient’s length of stay is influenced by commonly cited issues such as missing test results, delayed physicians’ orders, or failures of outdated pager technology. The length of the average hospital stay has been gradually increasing in recent years, and at a cost of $1,800 to $2,300 per patient, per day, that’s no small expense. Duplicate Test Orders – You’re already aware of the direct costs associated with test duplication. In radiology alone, studies show that 20 percent of imaging tests are duplicates, wasting as much as $20 billion per year. The effects become exponentially more expensive, however, when you consider care delays caused by waiting for those results, as well as the patient leakage caused by dissatisfied consumers. A unified clinical communication platform unites care teams, keeping all clinicians updated on orders and results, so there’s never a need to redo a test. Critical results can also be routed through the platform to provide instant access for all members of a patient’s care team. Time will never again be wasted on searching for missing test results. Errors and Malpractice Claims – The Joint Commission cited communication failures as a leading root cause. And, again, communication errors were directly tied to $1.7 billion in malpractice claims. Streamlined CC&C technology closes these glaring gaps by making it extremely easy to find and message the correct provider or care team—and just as easy for those providers to respond immediately. 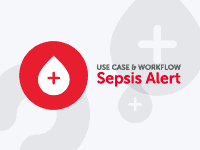 Automated Alerts – Electronic notifications can be set to alert clinicians automatically when events occur that have the potential to result in a readmission. For example, a nurse navigator who receives an alert when her patient presents at the Emergency Department can place a quick call to the ED staff to determine if a medication adjustment can keep that patient out of the hospital. Care Team Collaboration – With as many as 26 percent of patients reporting that they receive conflicting information from their various doctors, care team communication takes on new significance in the context of readmissions. Patients cannot adhere to their post-discharge instructions if it’s not clear what those are. A unified clinical communication platform connects care teams so that everyone involved in a patient’s care is updated and current on all treatments and recommendations. This is the only way to speak to a patient with one voice. Patient Monitoring – Remote patient monitoring can be as elaborate as tracking smartphone-generated EKG results or as simple as sending text reminders regarding essential follow-up care. Text messaging was shown to double the odds of medication adherence for middle-aged patients with chronic disease. Those small interventions enable providers to catch emerging issues before they escalate to hospitalization. Successful Discharge Transitions – A communication platform connects providers for direct collaboration, so it will be extremely clear who is responsible for overseeing the patient’s next steps. Images and test results can also be securely forwarded from one provider to the next. In closing the communication gaps between providers, health systems sometimes overlook the gaps between IT systems. When integrated into key IT systems, a clinical communication platform forms a bridge of interoperability, facilitating the efficiency improvements that reduce referral leakage, readmissions, and care delays. Electronic Health Record – Providers can receive critical alerts from the EHR directly on their mobile devices, including Admit, Discharge, and Transfer (ADT) Alerts. Scheduling – Role-based scheduling automation allows everyone in the health system to quickly look up and contact on-call staff and specialists. Considerable time is saved that was once spent routing calls through an operator. Consults are easier, and care is delivered faster and more efficiently. Nurse Call Systems – Alerts can be automatically routed to a nurse’s smartphone or workstation, cutting down on alarm fatigue and improving efficiency. The old audible alarm system can also be replaced with a system that provides more detailed information about urgent requests so that nurses can quickly deliver the most appropriate care. Imaging and Lab Results – Critical images and results can be viewed instantly from a smartphone or PC. Wait times and duplicate tests are significantly reduced. Paging and Answering Services – Outdated pager technology is costing U.S. health systems $8.3 billion annually by decreasing provider productivity and increasing patient discharge time. 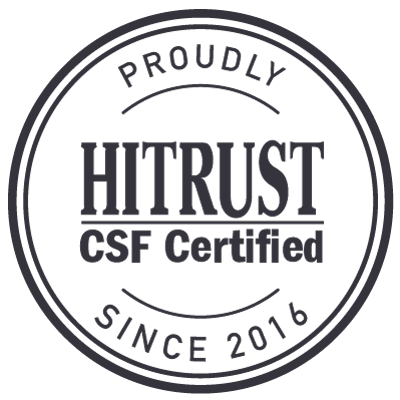 Secure text messaging is not only more reliable, it’s also more efficient. Pager alerts can be redirected to a provider’s smartphone. Answering service operators can relay detailed messages via secure text instead of waiting for call-backs to provide the essential patient information. Together, the improved reliability of message delivery and the faster transmission of important information is streamlining patient care. 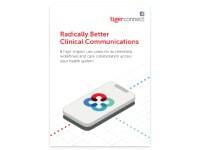 Implementing a Clinical Communication and Collaboration platform like TigerConnect is one of the easiest and simplest ways to achieve more immediate productivity and cost-cutting benefits. Not only that, our customers have also seen reductions in length of stay, improved patient outcomes and higher staff satisfaction time and time again. 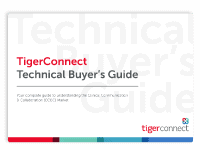 To see the full extent to which the TigerConnect platform can preserve profitability in your health system with improved communication, download our Revenue Rescue eBook.